Need logo on golf balls for your next event or tournament? Great selling 2-piece ball at a great value. Breakthrough combination of extreme distance, feel and durability. 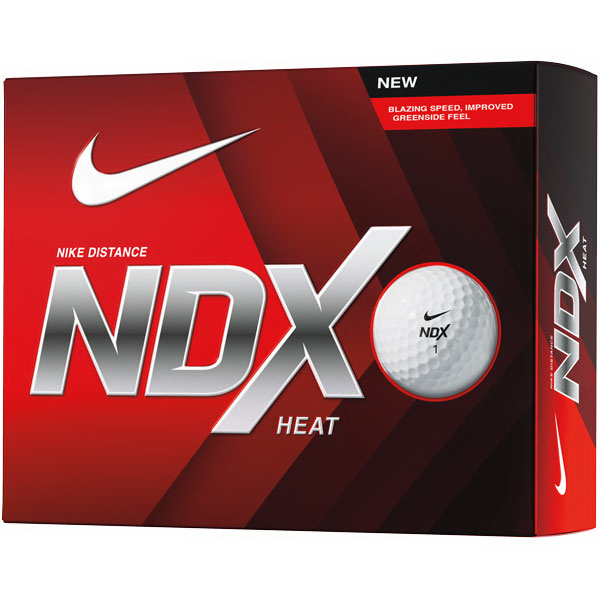 Nike NDX Heat comes in boxes of 12 balls. Balls can be imprinted in 1 location (7/8″ diameter) with no set up, $23.33 per dozen. Minimum is 6 dozen. At 12 dozen, price is 20.00 per dozen. Additional location imprint 6.67 per dozen at 12 or more. Item GL9164-101. 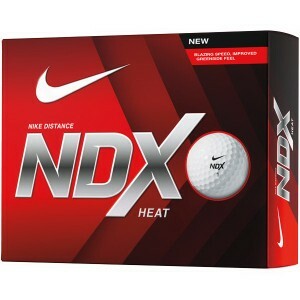 Put your logo on NDX Heat golf balls. Min is 6 dozen.